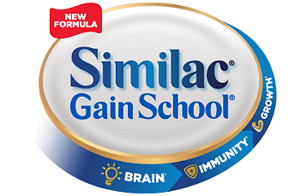 Join the Similac GainSchool loyalty rewards program and enjoy exclusive discounts! 1. What is Similac GainSchool Loyalty Rewards Card? Similac GainSchool Loyalty Rewards Card is an exclusive membership card to help parents like you provide optimum nutrition to your child. With your membership, you get free access to nutrition counseling from our Registered Nutritionist-Dietitians, and special discounts for every purchase of Similac GainSchool products in Mercury Drugstore branches nationwide. 2. How do I become a member of Similac GainSchool Loyalty Rewards Program? 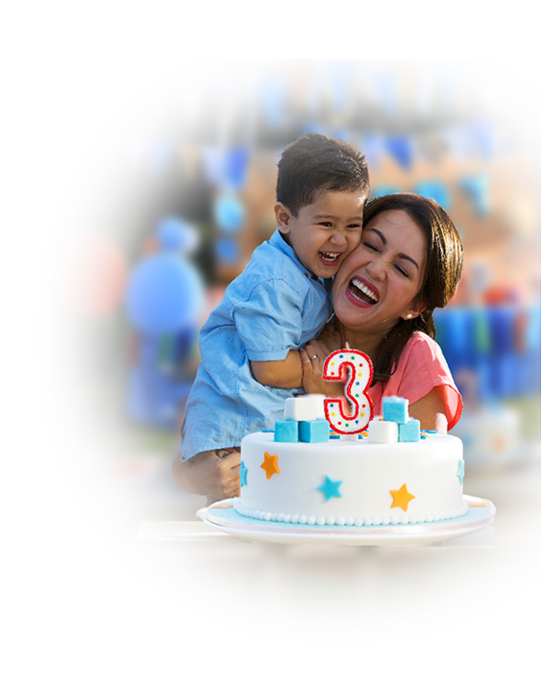 Simply apply for your Similac GainSchool Loyalty Rewards Card issued through our partner-doctors, activation booths, and other Abbott consumer health efforts. Any card issued through other means shall be deemed invalid. Cards issued are preactivated and may be used immediately to avail the discounts. To become a member, you may register via SMS or by accomplishing an enrollment form attached to the membership card brochure. Upon application, you will be required to provide your personal information, which we will use to contact you for nutrition counseling, program updates, relevant news on health, products and services, and other marketing purposes. Your personal information may likewise be accessed by third parties appointed by Abbott to assist in this program. 3. How is my card activated? Your card is preactivated for 90 days from your first purchase. Upon receipt of card, you may use it immediately in Mercury Drugstore branches. However, the card will automatically deactivate if you fail to register within 90 days. For registration details, please refer to the instructions in the membership card brochure. The card should only be used for program-related benefits, activities, and transactions. Abbott Nutrition International is not responsible for any card misuse by its members or non-members. 4. What special offers can I receive? As a registered member, you are entitled to avail exclusive discounts for every qualified purchase of Similac GainSchool products and other members-only privileges. 5. How do I avail discounts? Your card is preactivated and can be used immediately to avail product discounts on the first 90 days. As an added benefit, once you become a registered member, your discount for big SKUs will be upgraded automatically. Registration should be fulfilled within the first 90 days upon receiving the card. Registration and discount mechanics can be found inside the membership card brochure. 6. When will my membership expire? Your membership is free and should apply while the program is running actively. However, your membership will automatically expire if your card is left unused for 90 days after registration or 90 days after your last purchase. Abbott also reserves the right to discontinue the program and your membership anytime it is deemed necessary. 7. Where can I ask if I have questions? Feel free to contact us at (02) 995-1555 or at 1-800-10-995-1555 from Monday to Friday 8AM to 8PM, and Saturday 8AM to 6PM. You can also email us at familyties.ph@abbott.com to update your information or to report lost or stolen cards. Become a MEMBER for FREE and receive more exciting rewards! Get HIGHER DISCOUNTS if you REGISTER NOW via text! Or CALL NOW for INSTANT REGISTRATION! Per DOH-FDA CFRR Permit No. 0589 s. 2017; 0641 s. 2017.